Commercial Cabinetry and Signage - Creative Surfaces, Inc.
Dreaming of White Sandy Beaches? Year Round Brown waiting room cabinet. 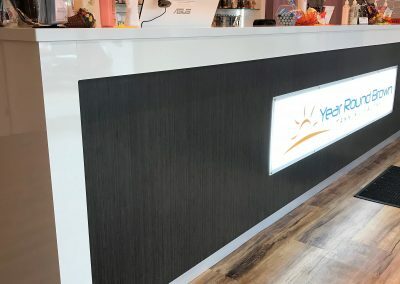 Backlit Interior Sign on face of Year Round Brown reception desk. 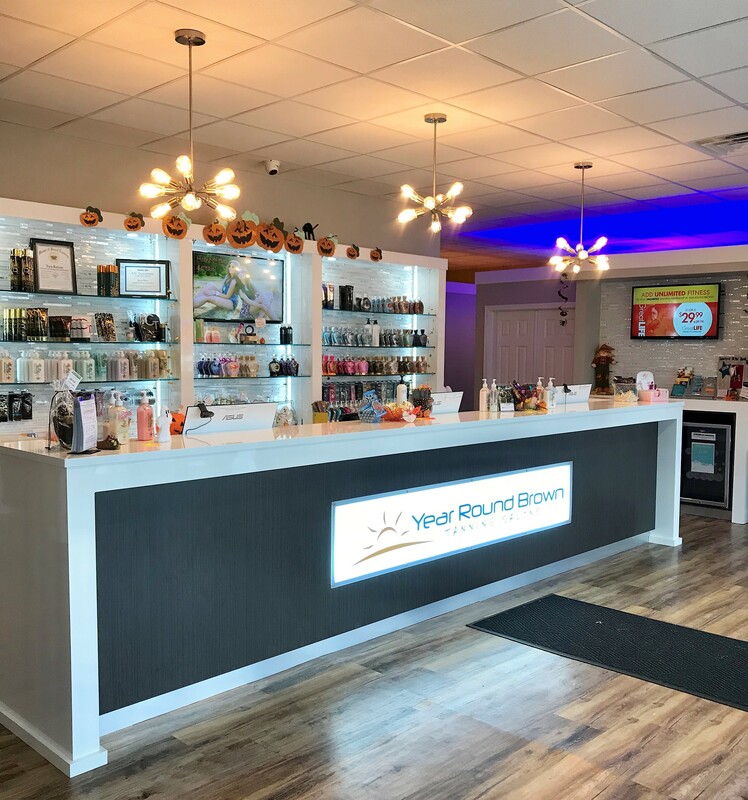 Year Round Brown should be your first stop if a white sandy beach is in your near future. With nine locations from Yankton to Watertown and six of those are right in Sioux Falls. 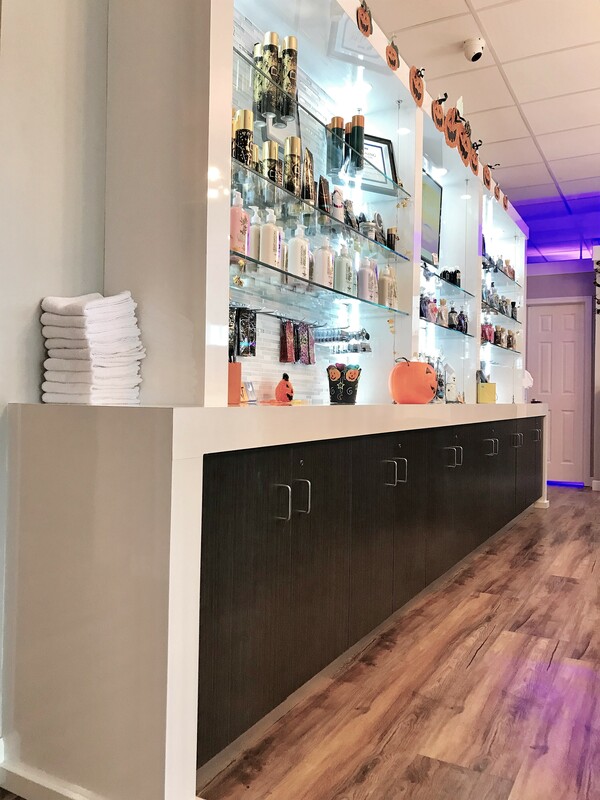 Did you know they have professionals that will assist you in getting the perfect shade you’d like to achieve before you set out to find those white sandy beaches? 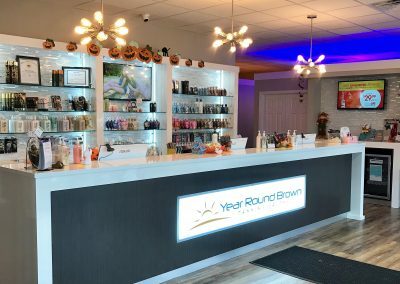 Whether you want that dark, golden look or a light sun-kissed glow, Year Round Brown has a customized plans. If your desire is for INSTANT darker, bronzing results, try a combination of a sunbed tan and a spray tan to produce a deeper, longer-lasting tan. 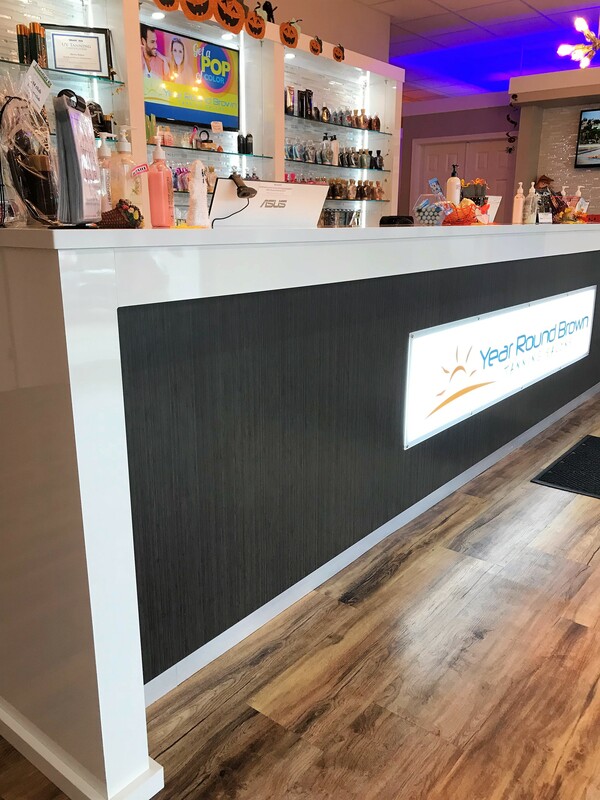 Creative Surfaces should be your first stop if you’re next construction project requires commercial cabinetry and signage. 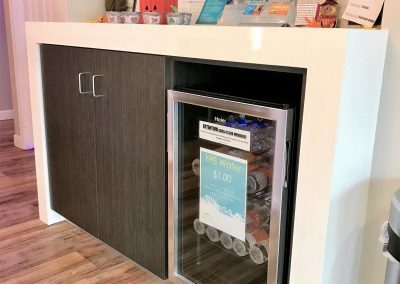 At Creative Surfaces everything we build is custom designed with unique elements specifically for the project. 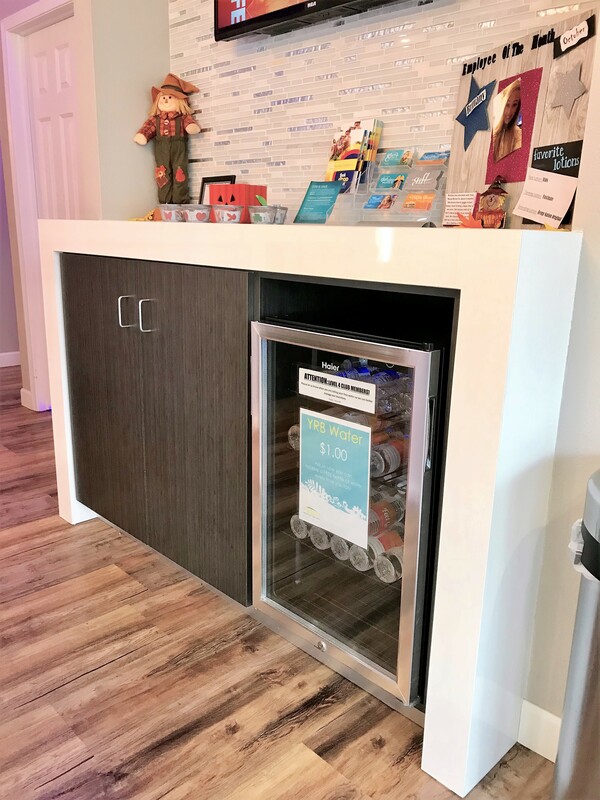 Our talented design team will work with you to create a design that will WOW your customers and clients; then our skilled craftsmen will take that design and create beautiful custom cabinets and signage. 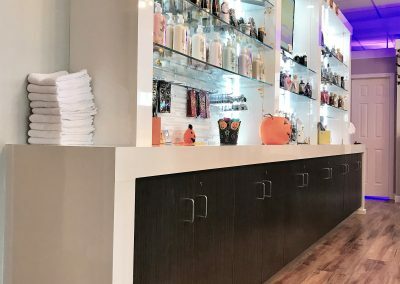 Our goal is to manufacture the project that fits within your unique space and meets your business needs. No project is too small or too big. Call us today and let us assist you with your next custom commercial cabinetry project.